If light aircraft are not your cup of tea how about one of the many trial helicopter flights? 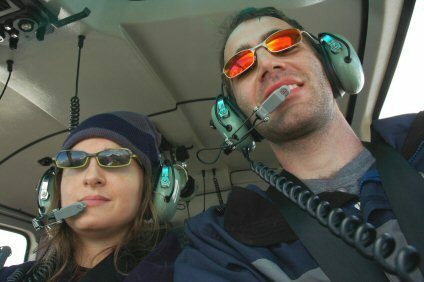 The flight experience in a helicopter is different in many ways to that of a light aircraft. There is much greater visibility for a start, and the sensation of flight is different due to the way a helicopter flies. Helicopters hold a particular fascination for some. They can go almost anywhere, don’t need runways, and can maneuver and hover in ways that leave conventional fixed wing aircraft pilots staring in envy. For some these and other factors make a helicopter flight much more appealing. The best way to find out is of course to go for a flight yourself. Learning to fly helicopters isn’t the cheapest way to learn to fly, but in terms of both cost and the abilities needed to obtain a licence it may surprise you to learn that it’s more within reach than many imagine. Just like fixed wing aircraft training helicopter lessons are conducted in small, two seat helicopters, like the Robinson R-22. 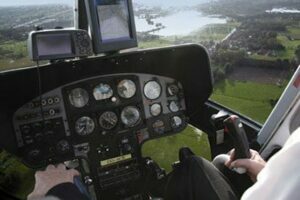 Although the controls and the principles of flight that keep helicopters in the air and moving may seem complicated at first, bit by bit the student can absorb the knowledge and develop the necessary skills. Helicopters have their own attractions to would-be pilots. There’s a certain glamour surrounding helicopter flying and plenty of opportunities for the professional pilot but it all starts with trial lessons. It’s a steep learning curve so don’t be put off by the complexity of the controls and the dexterity required. Like all complex tasks it is best tackled in small steps. As your training continuous you will soon look back and see that you have mastered the basic skills. Alternatively, just enjoy the experience of a pleasure flight in a helicopter over some of the many landmarks in the UK.